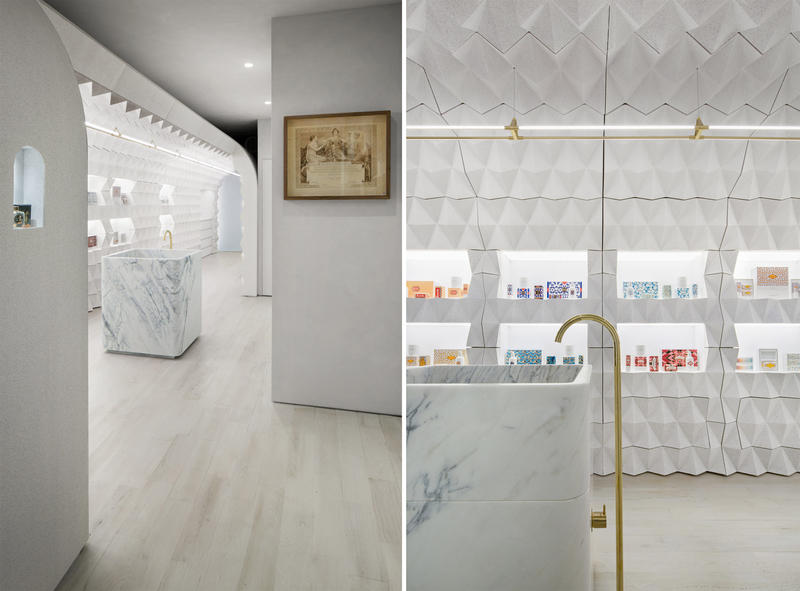 Claus Porto, a brand specialising in high-end perfumery and soaps, has just revealed a new store in New York’s Nolita neighbourhood. 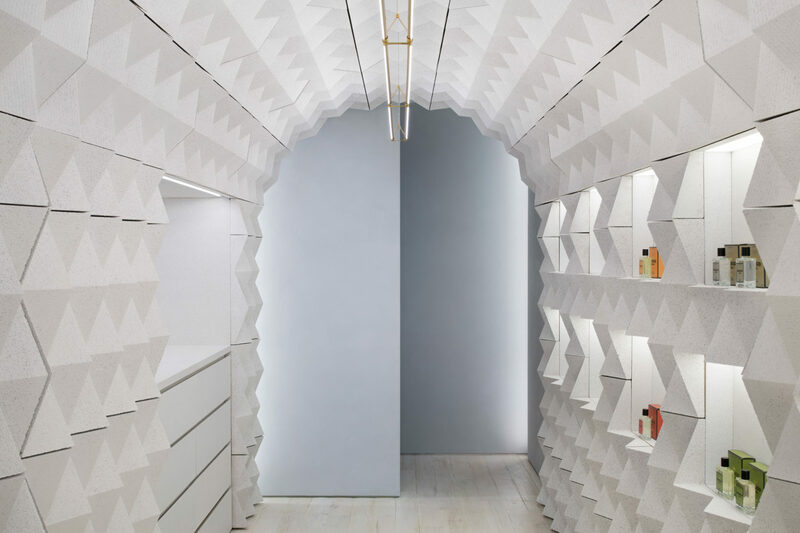 The store architecture, designed to provide a rest for the senses with its ergonomic shape, inspired by aerospace design and created by the Brooklyn studio Tacklebox Architecture, pays tribute to the brand’s Portuguese roots. 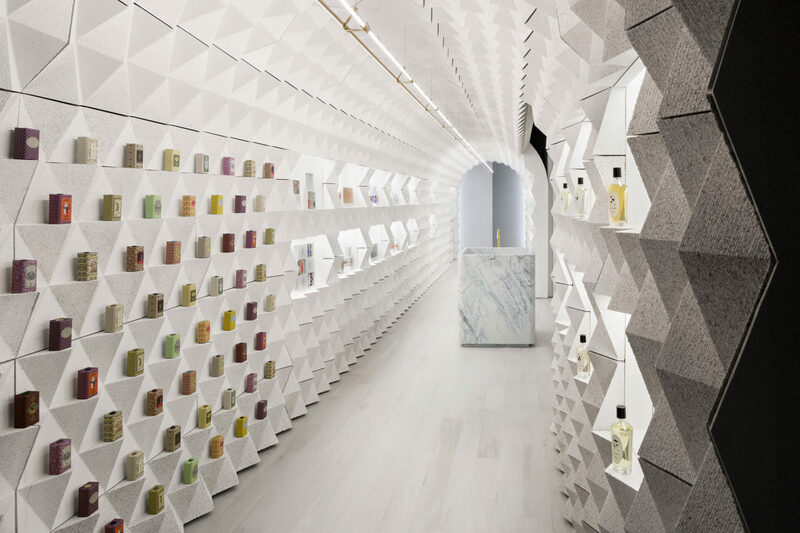 The store stretches 13 metres in length, in an tone-on-tone impression that plays on reliefs of light and shadow and where the cool, discreet palette adds an experimental and sensory character (as seen in Concept no. 3 Space Lounge, page 92 to 96, of the ACCESS theme in Promostyl’s SS19 Influences & Design book). 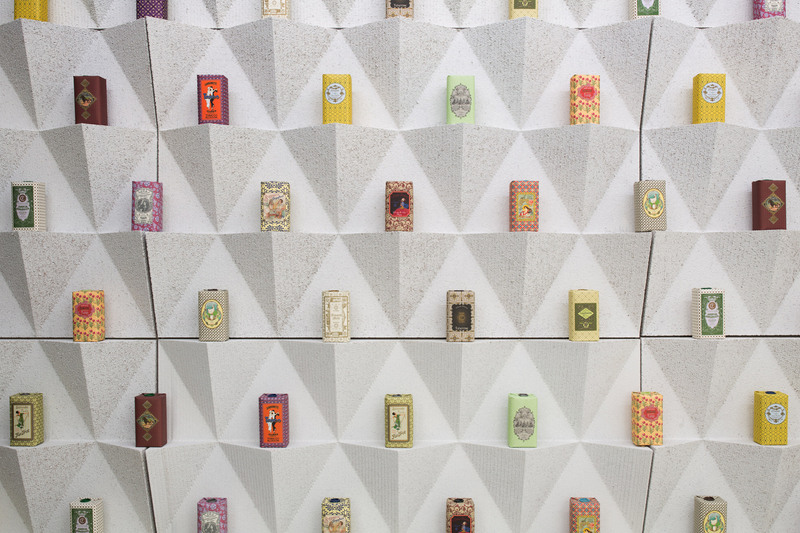 The walls feature diamond-shaped tiles made from Portuguese cork on which are displayed the brand’s products with packaging inspired by vintage labels. Blending the future and history, the brand also makes reference to the tiled façade of the Casa Dos Bicos in Lisbon, whose façade is covered with pointy diamond-shaped stones. 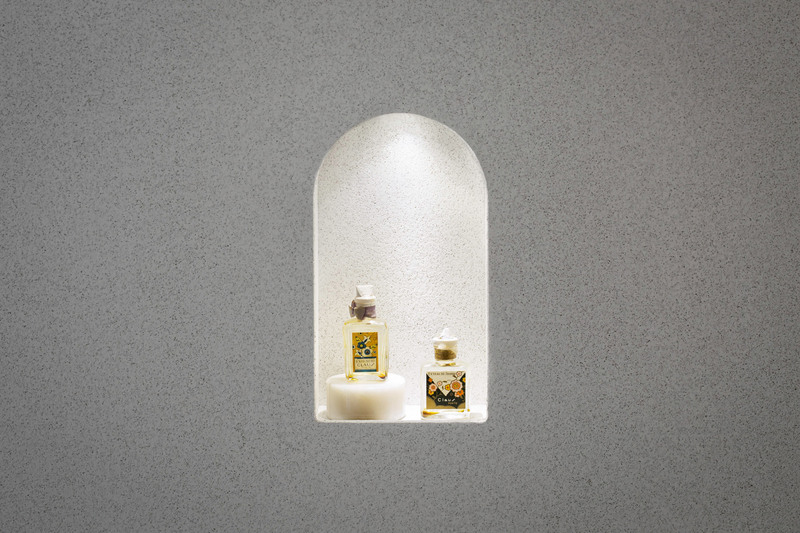 At the end of the store is found an imposing sink sculpted from the same block of Estremoz marble as used for the basin in Claus Porto’s flagship store in Portugal. The space creates a streamlined ambience that allows you to concentrate on your own senses… It is also an ideal setting that offers the best conditions to appreciate the products and services. 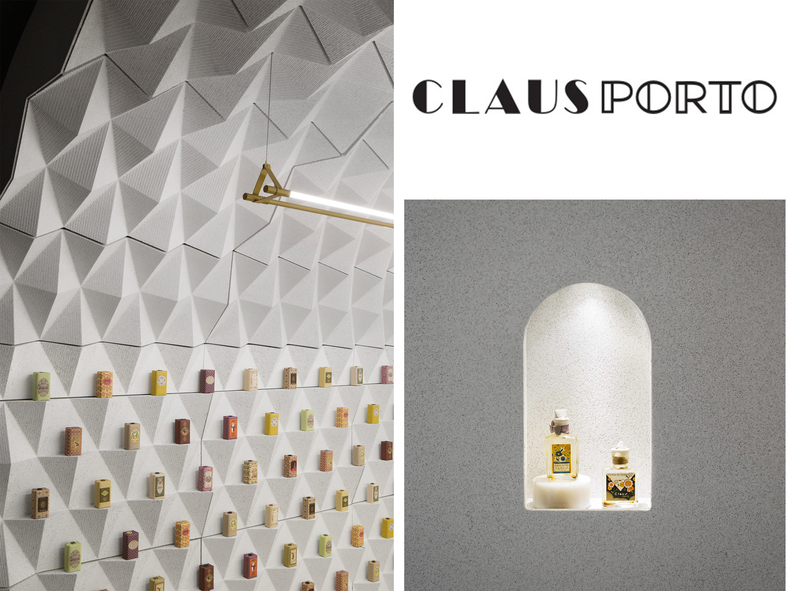 Claus Porto celebrated its 131st anniversary in 2018 and enjoys a rich and unique history that champions craftsmanship. The New York store thus pays homage to this heritage right from the entrance, with vintage photographs, labels from the brand’s beginnings and Art Deco-inspired bottles displayed on the wall.